Rare 2-level home in popular & secluded Wood Acre West. 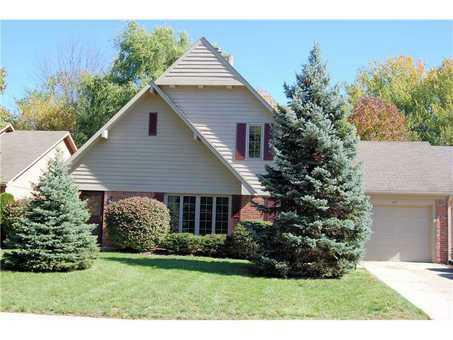 Located near end of quiet cul-de-sac & heavily wooded, you feel like being in a park. Many updates have been made over the years, including: laminate floor in Kitchen, HVAC, ceramic tiling in baths, high-end carpet, lighting & windows. Great Office off of Kitchen. Spacious loft & bedroom upstairs. Tons of storage! Cozy fireplace with blower in Living Room. Walking distance to Carmel Arts & Design District! Does need cosmetics.